The U.S. governing system of representative democracy is undoubtedly fascinating and prone to producing nail-biting drama. What sets it apart from other dramas, though, is that it does not routinely wend toward a happy ending. And when it doesn’t, there aren’t any closing credits to disjoin the depressing resolution from the rest of your life. That’s why movies about politics are infinitely less stressful than the real thing. In this episode of NPR’s Cinema Junkie, Beth Accomando talks to Turner Classic Movies host Ben Mankiewicz about some of the timeless films he’s curated for the channel’s political film festival—such as Michael Ritchie’s 1972 comedy-drama The Candidate and Preston Sturges’ 1940 satire The Great McGinty—and why he chose them. Mankiewicz is uniquely qualified to assemble a collection like this. In addition to his gig on TCM, he’s also a co-founder and regular commentator on the progressive talk show The Young Turks. And both areas of interest are embedded deep in his DNA. His father, Frank Mankiewicz, was Robert Kennedy’s press secretary, and his grandfather was Herman J. Mankiewicz, co-author of a little movie called Citizen Kane. If nothing else, this will feed one’s election addiction without compounding despair. The concept of interactive podcasts isn’t a new one for the medium; shows like Love & Radio, Reply All and Note To Self have been mastering the art of getting listeners engaged through audio collages and challenges for years now. But there’s a brand new show on the scene called Leave a Message After the Tone, that compiles anonymous messages from listeners on a specific topic, such as Donald Trump’s favorite foods (shellfish, hot dogs on white buns with ketchup only) or in last week’s episode, Drake’s bedtime routine. The result is bite-sized, totally weird and delightful stream-of-consciousness stories from anonymous voices who, thanks to their anonymity, are able to be as strange and silly as they want, in the spirit of live improv or the kind of banter you’d hear between friends at a dive bar. The episodes are all under five minutes long, so you don’t have any excuses when it comes to not listening or submitting your own stories about what Drake might do to unwind before bedtime. As any devoted podcast listener can attest, vocal quality is one of the most unsung yet decidedly important factors governing the ability to enjoy a show. It can seem a superficial measure, of course, as a boring program delivered in perfect, honeyed timbre would be a waste in a Taylor Lautner sort of way. In service of top-quality material, however, it has the ability to elevate. There are a great many qualities that set Dale Radio apart from other creative interview podcasts, but perhaps the most immediate is the enveloping pleasantness of host James Bewley’s voice. On this week’s episode Bewley—as alter ego Dale Seever—is joined by an equally exciting voice, that of multi-hyphenate performer (actor, comedian, singer, burlesque performer) Scout Durwood, currently starring on MTV’s Mary + Jane. Durwood captivates immediately with her quick wit, arch sense of humor, and rambunctious nature. She and Bewley run the gamut of topics, discussing everything from the differences between New York and L.A. burlesque, Durwood’s attempts to take down the Miss USA pageant by being a contestant, and everything in between. In the end, this pleasantly voiced episode is a delight, with Durwood coming across as a richly talented individual whose work is worth following. It’s been a banner Shocktober over at The Flop House this year, and not just because there were three episodes released instead of the usual two. Every episode was very strong, but the Original Peaches saved their best effort for last, with a nearly two-hour discussion of just about everything other than the shockingly successful low-budget horror flick The Gallows. Even if the crew managed to get the plot of the movie out in a succinct, linear fashion, it’s safe to say it would still be hard to grasp what the hell actually happens in it, but they decidedly do not do that, and what results is classic Flop House: words that sound like other words, Stuart Wellington being a laid-back party dude, and all sorts of the silliest nonsense imaginable. It’s one of the longest episodes of the show to date but it hardly feels it, and what it lacks in useful information about The Gallows, it makes up for in spades with consistent hilarity. Something like 34 episodes have been released since Hello, From The Magic Tavern became a member of the Earwolf Podcast Network, but this episode is the one that exudes the greatest feeling of actually having arrived. Host Arnie Niekamp and his band of companions Chunt (Adal Rifai) and Usidore the now-slightly-lighter Blue (Matt Young) are joined at this very table by a rather petulantly self-assured unicorn named Windsprinkle, played by none other than Wait Wait… Don’t Tell Me! host Peter Sagal. While the show never lacks for inventiveness, there is a certain electric quality to this particular episode, full of joyously propulsive play from all parties. This is likely attributable to Sagal’s presence as Windsprinkle, whose comic sensibilities are slightly more buttoned up than the traditionally juvenile bent shared by the hosts. Sagal’s appearance even leads to a rather unsubtle dig at Wait Wait… What helps to push this episode to another level comes about midway through, when singer Mike Doughty (of solo and Soul Coughing fame) drops by to sing an original ballad inspired by the show. In all, it is a winningly enjoyable episode filled to the brim with clever comedy and another hallmark for this continually impressive program. The ladies of L.A.-based improv team Wild Horses are clearly a favorite of Matt Besser, and considering the hilarity of this live episode, it’s easy to see why. From start to finish it’s an excellent example of the show’s best qualities, everything from listener questions and suggestions to the guests’ real-life stories and the seamlessly consistent improv throughout. What makes the chemistry between Wild Horses—composed of Mary Holland, Lauren Lapkus, and Erin Whitehead—so uniquely engaging is the infectious joy of their improv. Although Besser has an objectively different presence than the trio, the way their energies fold together is masterful. From a scene about only kissing TV screens and what happens when an inner monologue isn’t so internal to being lost in the woods for 30 years and the true origin of Chips Ahoy, the stories and characters are weaved together expertly, showcasing everyone’s singular strengths to create something whole. It’s a testament to the power of heightening, adept listening, and playfulness. This episode truly manifests the exciting energy of seeing great improv live, as the audience and players discover and explore together. Hip-hop fans were left with more questions than answers following the recent shock announcement that legendary hip-hop group A Tribe Called Quest would release its first album in 18 years at the end of this week. Thankfully on the latest episode of The New York Times’ Music Popcast, host Jon Caramanica sits down with journalist, author, and television personality Touré to discuss his recent piece on the group for the gray lady. Popcast is certainly not the first show to approach music in a talk show format, but its x-factor comes in the form of Caramanica, whose blend of experience, streetwise erudition, humor, and an encyclopedic knowledge of nearly every genre make the show a constant joy. Touré brings a great deal to the table as well, particularly in historical perspective. The pair share stories of their time covering the group across different decades, discussing how internal struggles are covered differently between rock and rap groups, and the family tree of artists influenced by ATCQ. The episode is full of resonant moments, those that humanize the members of the group and those that call into question the way proximity and emotion muddies the objective roles of journalist and celebrity. The latest episode of Off Camera with Sam Jones proves, among other things, that Mark Duplass is just as alluring as the incredible and influential career he has created for himself. Duplass is the perfect match for host Sam Jones, since Jones has a knack for digging into the process and origin story, and Duplass’ creative arc is unique to say the least. The two discuss his latest film, Blue Jay, and how he has managed to break all the fundamental rules of Hollywood to enable himself to carve out the artistic freedom that led to its inception. He also discusses his brother and creative partner, Jay Duplass, and the intensity of their relationship, how the two are soulmates. Duplass is eloquent and self-aware when discussing his filmmaking and comes particularly alive when he explains how his films and process are fueled by his chase for childhood joy and why he’ll never be happier than when he was playing drums in the back of his shed. Anyone familiar with his work will discover that every emotion revealed or stepping stone remembered falls into place perfectly, as this episode becomes one of the most successful at understanding the man behind the art. 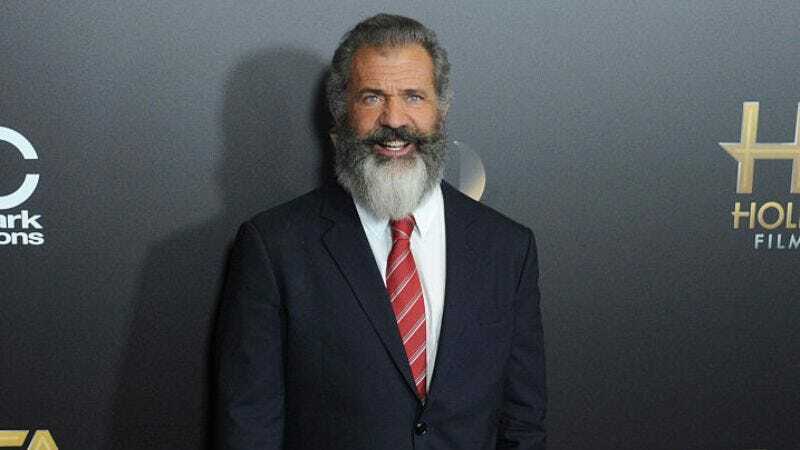 Mel Gibson; Who Should Host The Oscars? Mel Gibson’s given his fair share of interviews, but this appearance on Variety’s Playback marks his podcast debut. Host Kristopher Tapley’s questions about Hacksaw Ridge, Gibson’s first directorial effort in a decade, give way to a discussion of the aspects Gibson most admired in the film’s subject, conscientious objector Desmond Doss. Gibson’s words feel very careful and calculated throughout, which isn’t surprising given his past scandals and that he told Stephen Colbert last week that he’d tell his younger self to keep his mouth shut. A palpable tension fills the air once Tapley brings up Gibson’s past behavior, and the filmmaker’s response is telling: “It’s a dim thing in the past,” he says of tapes where he spat racial slurs and threatened to kill his ex-girlfriend. “I don’t understand why, after 10 years, it’s any kind of issue.” It’s a naive take, though it resonates when Gibson mourns the idea that his body of work could potentially be defined by isolated private outbursts that became public. It’s an endless debate, the idea of separating the art from the artist (and a timely one, what with the Nate Parker and Birth Of A Nation controversy), and it’s especially interesting to hear the take of someone whose life and work is directly affected by such a situation. Fester’s Quest is one of the weirdest games to ever be released for NES, and its backstory is almost as bizarre as its success. What’s even more nuts? The game came out two years before the 1991 The Addams Family film, which the Retronauts crew likens to someone releasing a Family Matters game in our day and age. Host Bob Mackey breaks down the history and development of the game alongside guests Chris Antista and Henry Gilbert, who can’t hide their bafflement at the game’s plot, wherein Fester battles aliens with a blunderbuss. And it gets weirder from there. Fester’s Quest was no mere franchise cash-in; it came to the creator in a dream. Also, the developers simply forgot to add in save points, meaning that dying at any point in the game takes you back to the very beginning. That led to a marketing campaign that compensated for the error by making its notorious difficulty a selling point. Still, the game remains fascinating in ways most modern games aren’t. The Retronauts crew discusses how game development has changed over the years, and how our modern climate rarely allows for such curiosities to enter the world. Why doesn’t MTV play music videos anymore? “Well,” Videohead host Daniel Ralston says, “how much have we devalued what a music video does for a band?” He makes a good point, and his podcast seeks to unpack the role of the music video as it exists in the past and within modern culture. And though the discussion points are very much centered around music’s visual accompaniment, his conversations are often most interesting when they veer off the beaten path. That’s certainly the case with Jodi Wille, a filmmaker who directed music videos for the likes of R.E.M. before opening a publishing house and documenting outsider artists. She and Ralston discuss her documentary The Source Family, the story of a spiritual community of musicians in the 1970s, and this opens up a fascinating chat about occultism in music. Less interesting is Ralston’s talk with Josh Madden, the older brother of Good Charlotte’s Benji and Joel and director of their music videos. His enthusiasm is inspiring, but he can’t touch the beguiling perspective of Wille, who believes sincerely in the clairvoyance of artists like David Bowie and Jimi Hendrix. Imagine for a moment that this is a normal presidential election and that one of the candidate’s isn’t an authoritarian, race-baiting sexual predator. What would be your criteria for voting for one candidate and despising everybody who’s voting for the other? You’d definitely be more likely to use their stated policy positions as a guide. That’s an understandably hard thing to attempt right now, what with all the accusations of satanic worship and promises of armed revolution. That’s why, in this episode of Vox’s The Weeds podcast, co-hosts Matthew Yglesias, Sarah Kliff, and Ezra Klein try their best to strip all of those terrifying diversions away and take a hard look at the candidates’ policies, and they do a commendable job of it. Like a bucket of cold water thrown in your face during a panic cycle, this forces you to stop screaming and access the situation with a slightly lower heart rate. However, their findings are unlikely to flip many votes, because if you’re listening to them instead of Alex Jones, then you probably already knew who you’re voting for. What’s The Tee? is a free-form podcast hosted by drag queen, author, musician, and supermodel of the world RuPaul and partner in crime Michelle Visage. Every week they talk to a variety of guests about a variety of things, and this week they are joined by the always hilariously cutting Aubrey Plaza. Before their conversation with Plaza, RuPaul and Visage spiral into a discussion on addiction, specifically to cigarettes, and it’s a notable segment. Not only does RuPaul effortlessly slip in poignant moments, like when he says smoking is like “thumbing your nose at mortality,” but the talk leads them down memory lane, and they allow themselves to revel in nostalgia. Any conversation between the two best friends could inevitably lead them into telling stories about the old days in New York, and those days will never not be fascinating. When Plaza joins the two, the dynamic is instantly engaging, as Plaza could not have a more opposite energy than the hosts, but somehow they come together easily when discussing Judy Garland, farting, Plaza’s dream role, and Visage and RuPaul’s crush on Plaza’s former boyfriend, Michael Cera. RuPaul is a powerful presence even merely behind a microphone, and this episode is just one of many that are at once funny, serious, inspirational, and compelling. There’s a few things that separate You Should Love Wrestling from the glut of retrospective wrestling podcasts on iTunes. One is co-host Stephen Perlstein, who hates wrestling and offers the perspective of someone whose eyes aren’t rose-tinted with nostalgia. His cohorts Joey Clift and Nick Gligor build every episode around matches, storylines, or characters they think might convert him. These aren’t simple recaps, however, nor do they devolve into endless bits (though the gang is quite funny). You Should Love Wrestling varies the structure of its episodes, some of which focus on the minutiae of a single match, while others take a macro look at a particular aspect of the business. This latest episode is a great example of the latter, with comedian Joan Ford joining the central trio for a look back on Donald Trump’s myriad associations with the WWE. What they find is fascinating; there’s been numerous articles pointing out how Trump’s persona isn’t unlike that of a sports entertainer, but in looking at the individual segments, this episode finds clear corollaries between his WWE storylines and his mode of politics. As he has in this election, WWE’s version of Trump posited himself as “the good billionaire” vs. “the bad one” that is WWE head honcho Vince McMahon. More revelations follow, resulting in a smart, funny, and decidedly unconventional look at the GOP candidate as the election draws closer.